Being an entrepreneur isn't easy, but it doesn’t have to be hard. Here's how you can make your startup a success, I have bundled together some of my best selling products for a fraction of the cost in my Entrepreneur Unleashed Business Bundle. You will receive access to proven strategies I have used to get results and grow my business. My step by step plan to Attract ideal clients AND Understand what they really want! Learn the FASTEST way to grow your list without posting in Facebook Groups All Day! How to Convert Content to Cash AND get your next paid client in 30 days! Exactly how to set up and plan your follow up emails to capture your audience's attention. How to set up and tweak your Facebook ads. YES! 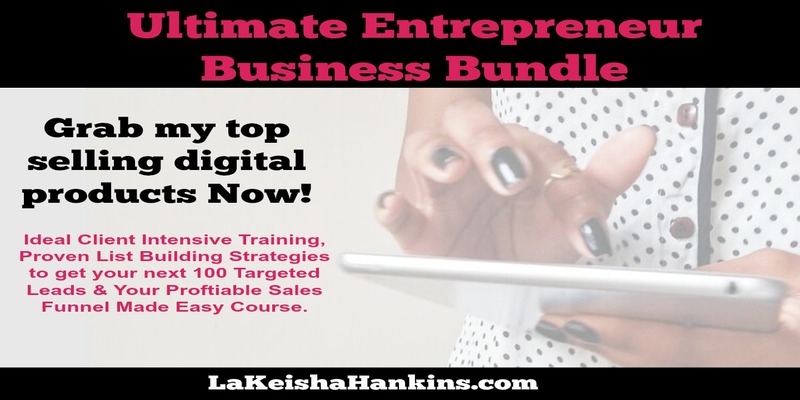 I want the Entrepreneur Unleashed Business Bundle!